If you are coming to Malaysia for holiday, to work or as a student, can your country issued driving license be used in Malaysia? 1) Your license has to be valid, meaning it is not expired. 2) Your license has to be in the right vehicle class. Meaning, if you hold a motorcycle driving license, you are allowed to ride only a motorcycle. If you hold a car driving license, you can only drive a car. 3) Translate to English or Bahasa Malaysia. If your driving license is not printed in English, you have to get the license details translated into either English or Bahasa Malaysia. How long can you use your local license to drive in Malaysia? That is a very subjective question and honestly, I don’t think there is a fixed answer. You can use your license to drive in the country, as long as it is not expired. 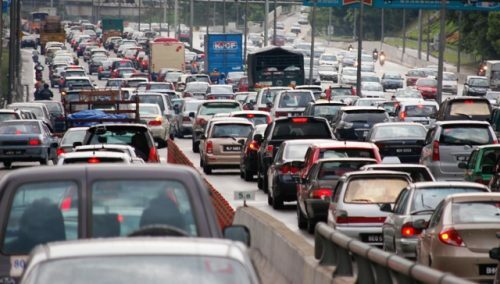 If you are planning to stay in Malaysia permanently or for an extended period of time, it is recommended that you convert your local license to a Malaysian driving license. However, there are certain conditions you have to meet before the license conversion can be made. Remember, driving without a valid driving license is a serious offence in Malaysia. If you are caught by the traffic police for driving without a license, you will be summoned and asked to appear in court. The following is an official list of 154 countries driving licenses which can be used in Malaysia as published by the Jabatan Pengangkutan Jalan or the Malaysian Road Transport Department. If you are from a country not listed above, it is recommended you get your country issued international driving permit in order to drive a vehicle in Malaysia. Can you verify the source of this, thank you! Because a foreigner (Indonesian) knocked into my car and he only possessed an Indonesian Driving Licence. And my insurance claim still pending due to the fact that they need International Driving Licence. You can sue the vehicle owner irregardless of the status of his licence. Can you verify that in 2019 this information is still valid or not ? because I have “heard” that foreign domestic license can no longer be used. I tried googling but couldn’t find an official source.